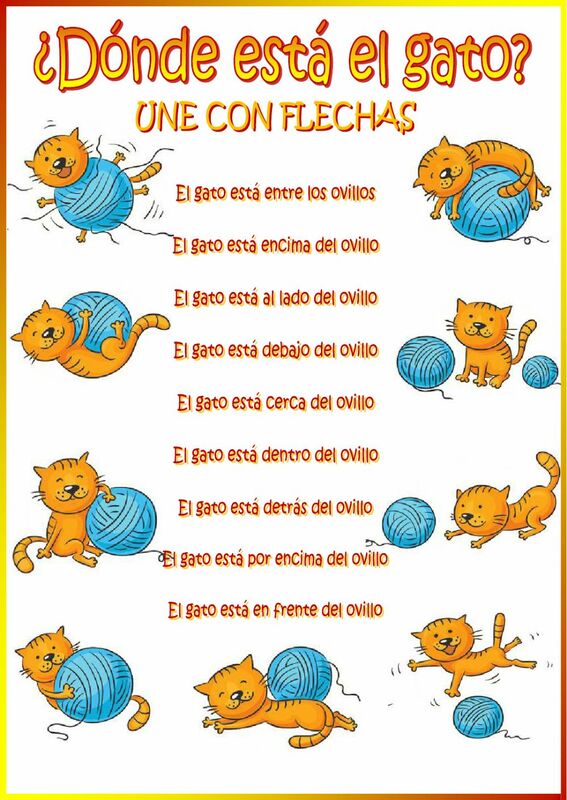 Live worksheets > Spanish > Español como Lengua Extranjera (ELE) > Las preposiciones de lugar > ¿Dónde está el gato? Una ficha sencilla sobre las preposiciones de lugar, que consiste en unir con flechas. Copyright 2/16/2017 Víctor Gayol. Publication or redistribution of any part of this document is forbidden without authorization of the copyright owner. I love this website! Thank you! It's a playful way to learn another language.